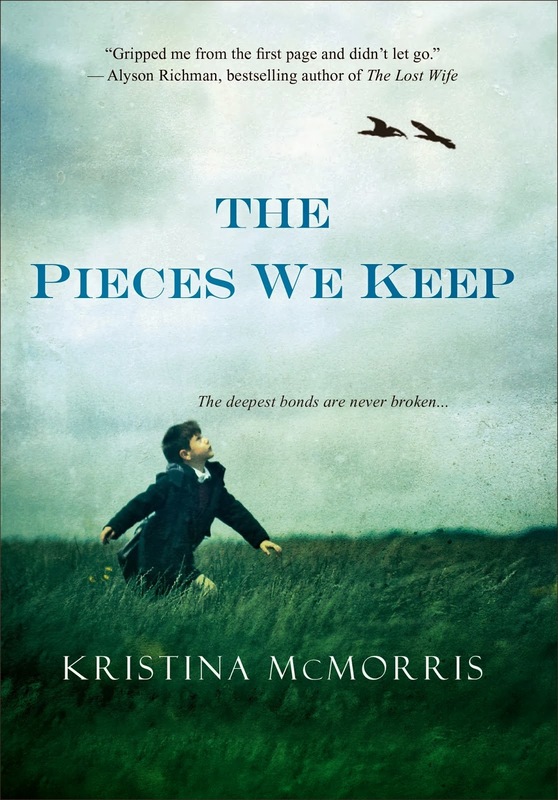 While this seemed to be the year of reading books about widows (I'm even reading one currently), something about The Pieces We Keep, by Kristina McMorris, stood out to me and I am definitely glad I picked it up! Right from the beginning, The Pieces We Keep was engaging. It starts out with Audra and Jack going on a cross-country flight that ends up being emotionally disastrous. Then, we're suddenly taken back to the 1940s, where we meet Vivian James, who is at the movies with her boyfriend, Isaak. She's upset that he's not paying attention to her and storms off. Through alternating chapters, we get a full picture of each woman's life. While Audra's story takes place over a couple of months, Vivian's is spread over many years. The Pieces We Keep was very well written. The dialogue and descriptions were genuine. It was very easy to visualize people and places. I found myself getting lost in the story, like I was sitting to watch a really good movie and forgetting anyone else was in the room with me. The story was suspenseful. Sometimes I thought I knew the answers, but then things would change course and I'd be surprised again. There was a strong emotional impact, as both Audra and Vivian were sympathetic characters and I felt myself truly caring for them and riding along the waves of their feelings at different times. The only thing that didn't work for me so well was quite minor, but I found some of the World War II background confusing to follow. Kristina did her best to simplify things, but some of it still went over my head. I'm not good with history and especially anything related to wars, so maybe someone with more interest in those topics would have understood it right away. This didn't take away from my enjoyment by any means, as the characters and story lines were very compelling. I definitely would recommend The Pieces We Keep and hope Kristina will write another book in this style. (I already recommended it to my mom and she loved it as much as I did!) Fans of Sarah Jio's novels will enjoy this book, and perhaps people who haven't read her novels will want to read them after finishing it. It is similar in style with alternating voices and time periods, as well as a mystery from history. I would love to see these two authors combine forces to write a novel together, as I feel it would be twice as incredible! Thanks to Kristina McMorris for the book in exchange for an honest review. Great review, except that I totally "got" the war scenes everything else I agree with you on. Kristina has a special way with words and history that really meshes well with me.